My Silhouette Portrait should arrive today (and in case you haven't seen it yet, Ali Edwards is giving one away on her blog, AND she has a code for 50% off the Silhouette Studio Designer Edition). I'm planning on making lots of my own designs to trace and cut with the Silhouette, and I started with today's freebie. 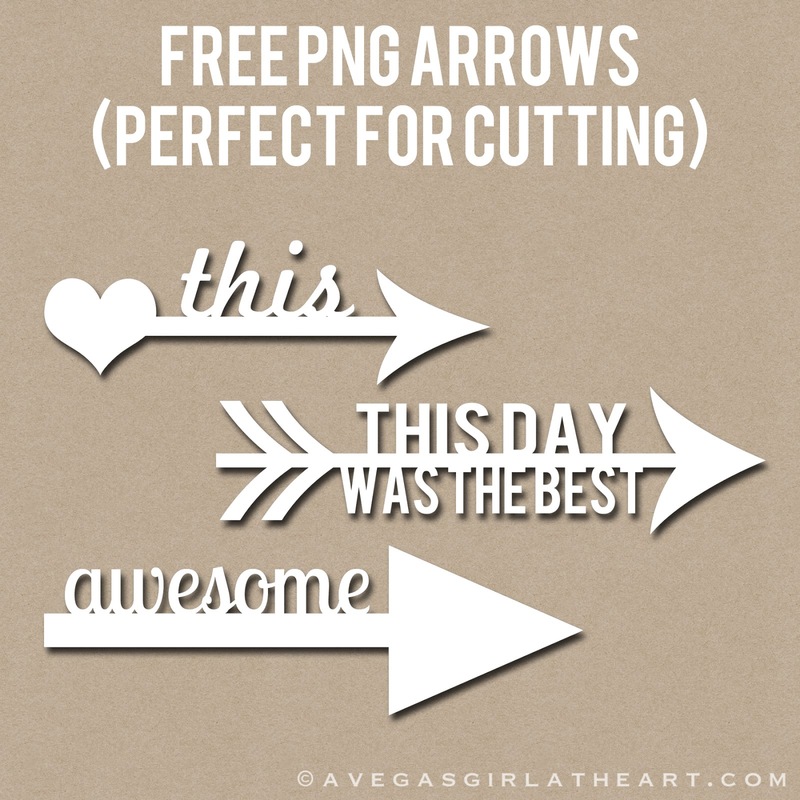 These are PNG format arrows (about 6 inches wide). 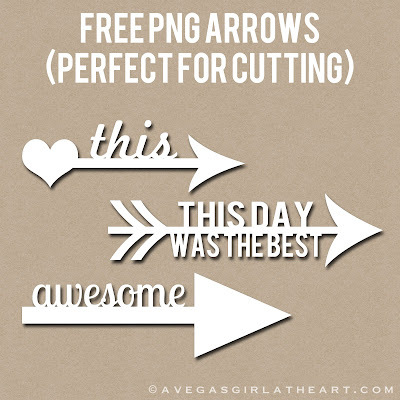 You can use them to trace in your Silhouette software (or Make The Cut or Sure Cuts A Lot, I think, haven't used SCAL), or you can use them over photos like any PNG file. Resize, recolor, whatever! Thank you! I have to check to see if I can import PNG files to my Pazzles, but if not I can convert them for sure. So cute! Good lord, I love these! Super creative. SO wonderful! Can't wait to see what you make with your Silhouette. I just got my Silhouette Cameo 2 weeks ago and am always looking for freebies! Thanks so much for such great ones!! Thank you so much for sharing these...........they're AWESOME!! Thank you! These are awesome! BTW I just used some of your journaling cards and a day of the week name on my project life pages and they look so good! I'll let you know when I post them so you can see them in action. I just discovered your blog through the PL page on FB. Thanks for the freebie. I don't think you can import PNG into Sure Cuts a Lot 2. :( Just tried. But these will be great as overlays!! Yeah, I tried doing the trace thing, but they imported really distorted so it couldn't "trace" it. Thanks so much! So cute! thanks for these! I can't wait to cut them out with my Cameo!